Surveyor boasts standard seamless kitchen countertops, 22" ovens (where applicable) with a recessed glass stove cover and a residential pull out sprayer faucet. Modern conveniences on the road. 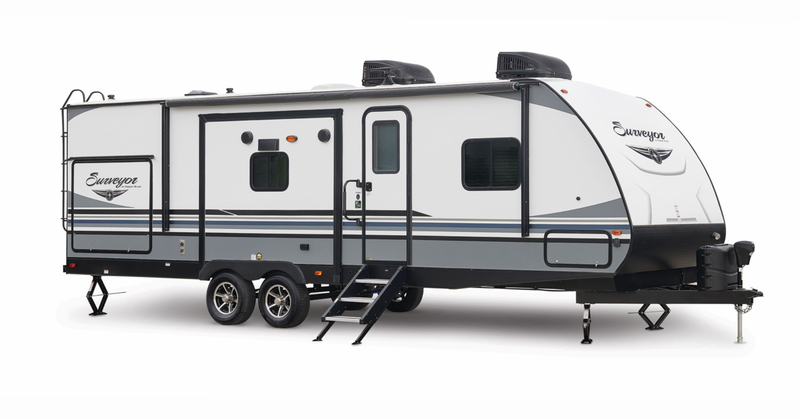 Surveyor's selection of family coaches is sure to cover your family camping needs. From smaller light weight models to the largest with a triple slide, Surveyor has something to fit your family.